Sleek, stylish, and sassy. These glasses turn anyone into a fashion icon. Jimmy Choo is at the top of the market with impeccable metal and acetate glasses collections. Bright colors, luxury décor, and innovative designs set these accessories apart from all others. The brand was founded in 1996 by couture shoe designer Jimmy Choo and Vogue accessories editor Tamara Mellon. There are stores worldwide, and can be found in places like London, New York City, Beverly Hills, and Hong Kong. The company holds over 400 design patents and is said to have been Princess Diana’s favorite designer company. 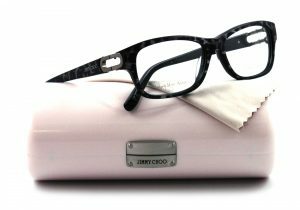 The Jimmy Choo collection is available at Good Looks Eyewear. Visit Our Pittsburgh or Cranberry Township location to pick up your glasses.